X -CROSS mug is made from white thin porcelain, coffee mug or tea mug. 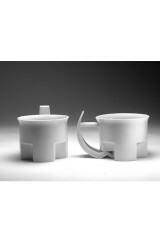 > X-CROSS - ORIGINAL MUG MADE FROM WHITE THIN PORCELAIN, COFFEE MUG OR TEA MUG. X-CROSS - ORIGINAL MUG MADE FROM WHITE THIN PORCELAIN, COFFEE MUG OR TEA MUG.